Below are Evaluate the Plate‘s partners. We have a wide variety from restaurants to websites to cookbooks. Please take a look at Evaluate the Plate’s menu marketing materials created for previous customers. If you see something you like, contact us to learn more about how we can help you with your menu labeling project. 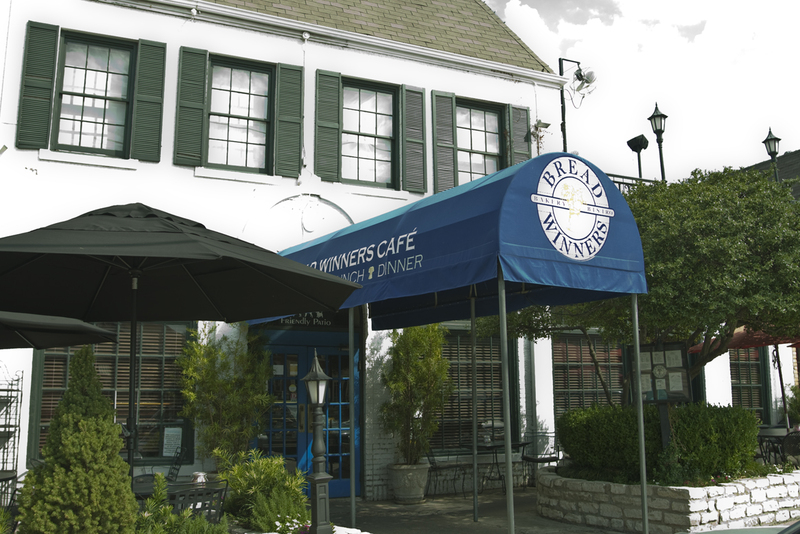 Bread Winners Cafe located in Dallas (Uptown & Inwood Village) and Plano, TX was a thrill to work with! With a unique atmosphere, great outdoor seating, and scrumptious food, they have become a Dallas household name. Because they are known for their brunch and bakery items, you may not exactly think of them as a “healthy” restaurant. It was actually easy to find healthy items already on their menu! A wide variety of clientele passes through their doors, which made Bread Winners an ideal fit with Evaluate the Plate. We were able to find seven meals (three for breakfast, two for lunch) that fit into a healthy lifestyle. Now their patrons can enjoy a mouth-watering meal without having to worry about counting their calories the rest of the day! We also created a couple of menu marketing materials that fit right into their needs. After the nutrition analysis was complete, Evaluate the Plate created a mini menu called “Our Lighter Side”. This marketing tool is able to accompany Bread Winners’ current menu and helps drive customers to the featured items. A receipt holder card was also created to remind customers of Bread Winners’ healthier options as they sign the check. Each of these were designed to match Bread Winners current menu and style.